This case study follows a young couple that is consulting with a genetic counselor about their plans to have a child. Because of their family history with cystic fibrosis, they are concerned about their chances of having a child with this genetic disease. 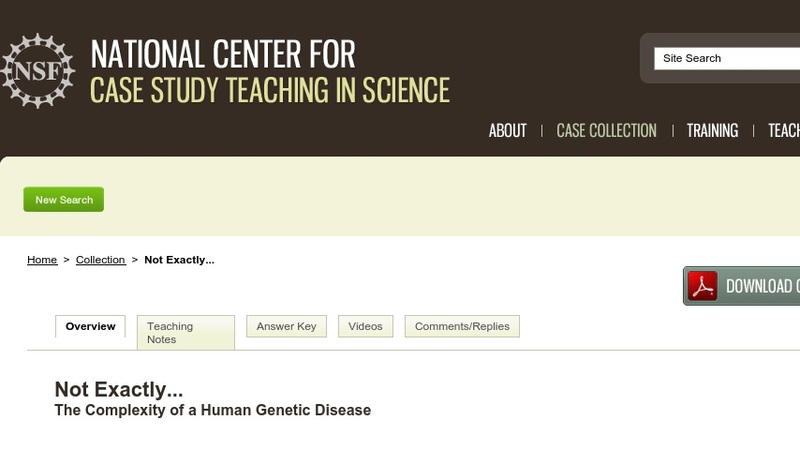 The case study reviews the basics of Mendelian and molecular genetics in humans, briefly examines the possibilities and limitations of genetic testing, and introduces students to online databases, including OMIM, a catalog of human genetic traits. The case also requires students to practice the scientific method, including hypothesis development, experimental design, and the analysis of primary research articles. Although developed for use as an introductory unit to an upper-level genetics course, the case could be adapted for an introductory biology course, perhaps as a closing exercise to a unit on molecular genetics.